The Pro-Flex 120 is the most widely used pull-behind contour finishing mower. 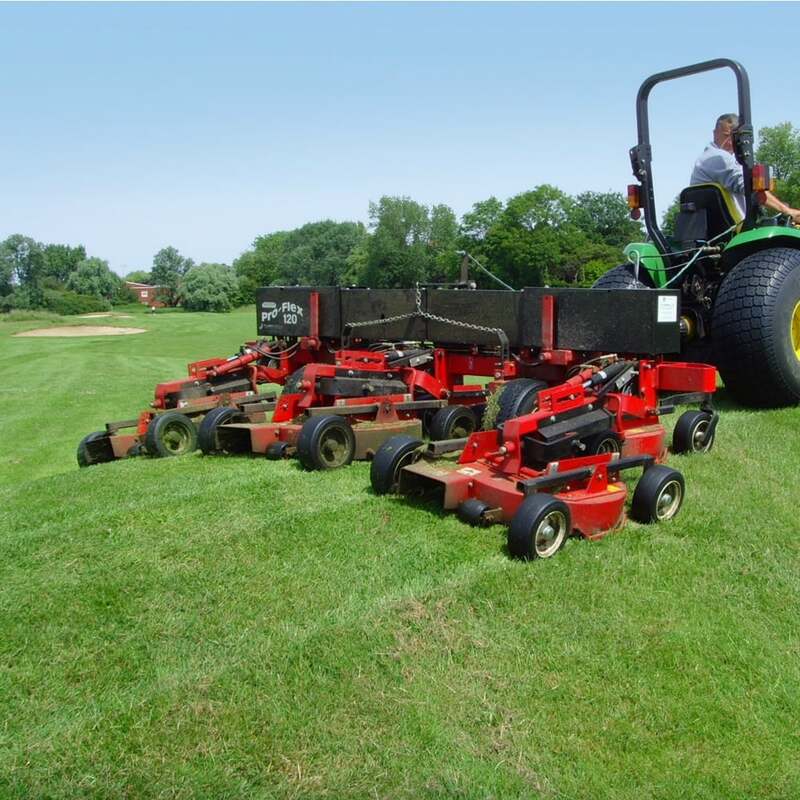 It has become the 'go-to' contour and rough mower due to its reliability, a 10' wide cut, and its versatility. With 5 independent floating decks, the Pro-Flex 120 will easily follow contour changes, producing a uniform quality cut.